2011 July «Suad Bejtovic Photography etc. Suad Bejtovic Photography etc. 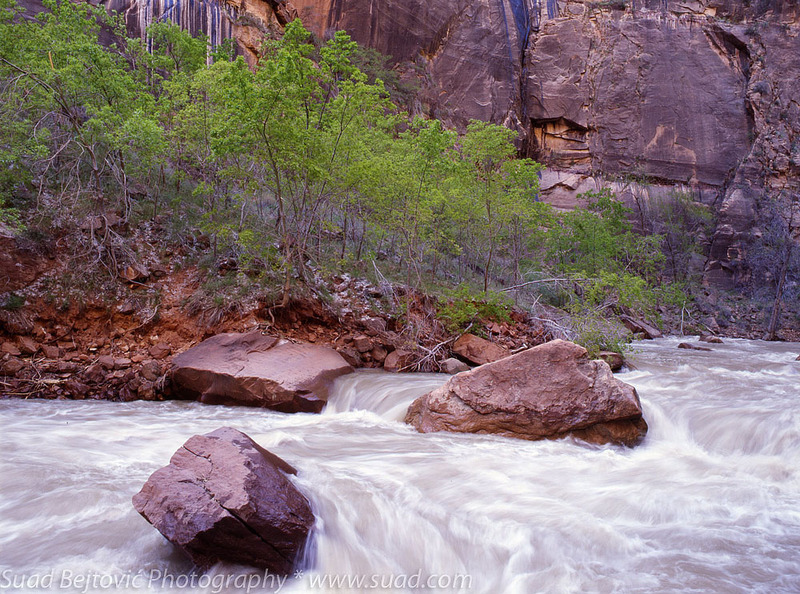 While I was looking for more photos to post from our trip to Zion National Park, I kept running into some scans from rolls of medium format Fuji Velvia film that I shot in 2009. That year, John, Tyler and I were joined by Scott Jones in our adventures throughout the American Southwest. 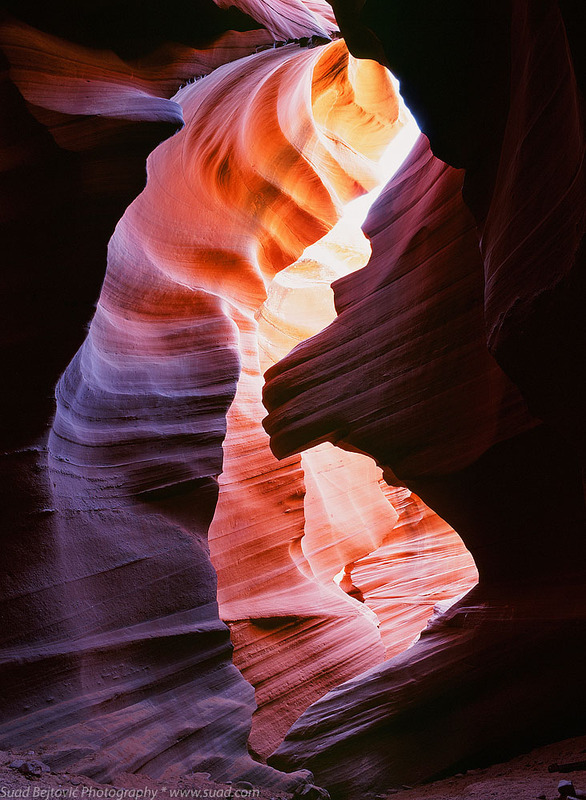 One of the most satisfying destinations was Lower Antelope Canyon, near Page, Arizona. Even if you don’t bring a camera, this stretch of real estate is amazing to behold. It’s a tight slot canyon carved over eons by sand and water, which inexorably pushed through the layers of sandstone. The Lower is much more difficult to navigate than the nearby Upper Antelope Canyon; there are several places where steel ladders were installed to assist the hikers. The light comes from many dozens of feet above and it is generally reflected back and forth off canyon walls. This brings out a wide palette of colors, which is what this photo attempts to show. There are the fiery oranges where the light is more direct, but as the canyon walls deepen, so do the shades of red and even purple. Regardless of what I said a few paragraphs earlier, you need to bring a camera here (I brought three!). You also need a tripod, but most of all, bring your sense of focus. It’s easy to get lost in the majesty of this place and snap away. Many of my shots were lost to lens flares or poor composition. And yet, this one stood the test of time – nearly thirty months later, I still find joy in looking at this image.